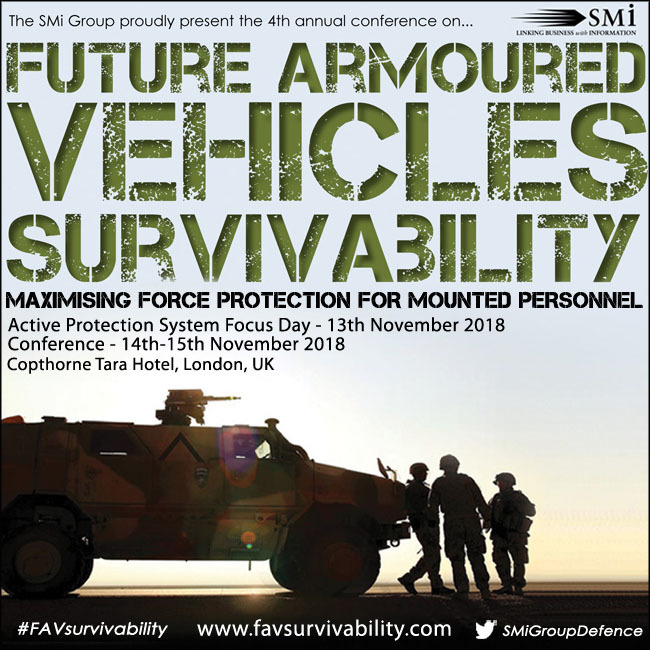 The Israel Defense Forces (IDF) is moving forward with the development and fielding of active protection systems (APS) for tanks and armored infantry fighting vehicles (AIFV). 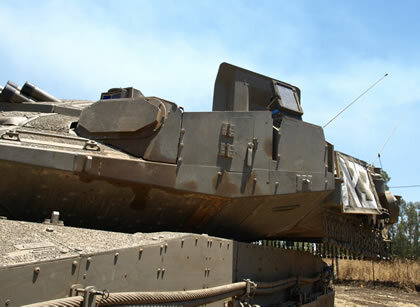 Maj. General Dan Harel, IDF 2nd in Command has approved the acquisition of IMI ‘Iron Fist’ APS for the Namer AIFVs, parallel to the continued acquisition of Aspro-A (Trophy) systems for the Merkava 4 tanks. 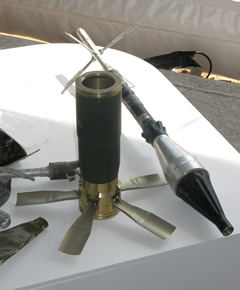 Currently in advanced developmental phase, Iron Fist is expected to provide multi-level protection against anti-tank threats, from short range tandem-warhead rockets that demonstrated their ability to defeat reactive armor, to sophisticated, heavy guided missiles such as the Kornet, employed by the Hezbollah during the 2006 2nd Lebanon War. The system has also been designed to counter tank fired (kinetic) threats. Each Iron-Fist system employs two turrets, containing two launch tubes firing the interceptor projectile (shown above, near an RPG rocket used for test firing) and several types of sensors, covering 360 degrees. The system can also include various countermeasures, which could attempt to engage threats at extended range with ‘soft kill’, saving ‘hard kill’ means as the last line of defense. 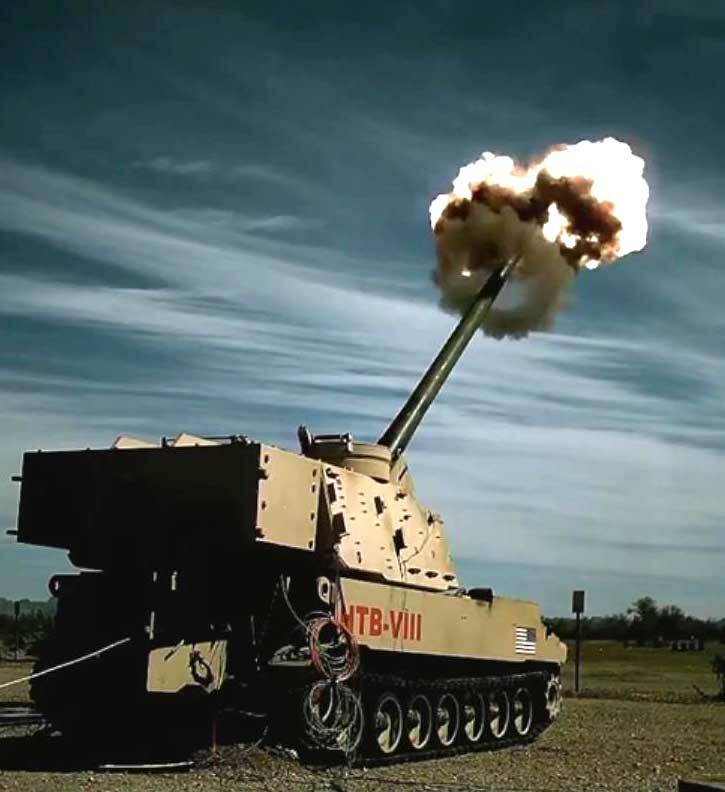 By utilizing soft launch techniques, firing loads generated by the Iron Fist are reducing potential adverse effect on the platform’s mobility or fire accuracy. Meanwhile, operational testing continue with Merkava 4 tanks fitted with Rafael’s Trophy APS. The IDF is expected to announce the system ‘operational ready’ upon the completion of this final Technology Readiness Level (TRL) testing. The test includes the deployment of Aspro-A equipped tanks with unit-level training exercises, evaluating the handling and integration of the systems by combat crews and their integration with operational tanks. Further systems are deployed with the Israeli Armor Center, where tactical concepts of operations (CONOPS) are developed by the Armor School. According to initial reports, the systems are performing well under field conditions. All IDF Merkava Mk4 tanks produced in recent months are being prepared for installation of the Aspro-A, making field deployment of the system, once it officially declared ‘operational capable’. For the initial phase the IDF has considered to outfit a complete Merkava Mk4 tank brigade with the system, and possibility to mount yet another type of ADS the new Namer Armored Infantry Fighting Vehicle (AIFV), derived from the Merkava platform, which is also in production. However, prevailing budget cuts could lead the military to delay the schedules of certain systems, as air power, armor, counter rocket, artillery and mortars defenses (C-RAM) and strategic missile defense compete for MoD funding priorities. A close-up showing the installation of the Trophy on the side of the Merkava 4 tank. The system employs a blast deflector to protect, similar to the screed installed on the Project Sherif Stryker. Photo: Noam Eshel, Defense Update.